The new Fiat Fullback pick-up van is rugged and stylish, and especially comfortable for both the driver and all passengers. There are SX trim and LX trim options to choose from, with both models combining aggressive and muscular lines with sleek and elegant handling whatever the terrain or load. 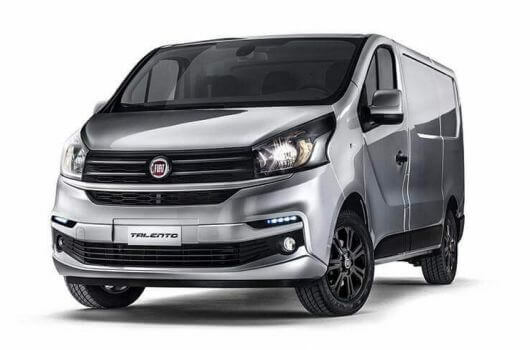 Fiat Fullback vans are available now at an affordable price from UK Vans Direct. 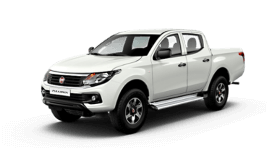 The Fiat Fullback options to choose from include engine performances of 150 and 180 horsepower, with all the available engines meeting the Euro 6 directive regarding emission levels. All models feature 4-wheel drive traction and 6-speed manual transmission. Fiat Fullback vans are available at UK Vans Direct with models in the range starting at £20,295.00 plus VAT and road fund licence. There are also various hire purchase deals available and delivery of the vehicle is always free when you buy a van through UK Vans Direct. For more information about the Fiat Fullback range call our team of Fiat van experts on 01709 717200.